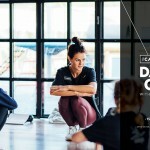 The Campus, Europe’s newest premier multi-sport and wellness resort, situated at the five-star Quinta do Lago resort in the Algarve in Southern Portugal, is delighted to announce an exciting new partnership with elite dance coach Lauren Jamieson. Lauren, who earned a Diploma in Professional Dance from the prestigious Urdang Academy, will be hosting half-term dance camps for all-ages that will tap into a dance craze that has been sweeping across the globe for the last decade. 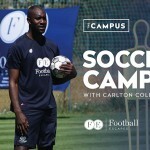 Lauren Jamieson’s addition to the Quinta do Lago team adds to the already vast blend of exclusive sports and lifestyle offerings at The Campus, with top sports stars offering coaching and inspiration to all generations looking to follow in their footsteps. Now we are proud to announce our first set of dance masterclasses, with the presence of one of the rising stars of British dance ensuring this will be a special week for all taking part. Lauren has a passion for dance and yoga and is coming to The Campus to share her expertise with what we are sure will be a captive audience, eager to learn some of the tricks of the trade in a dance craze inspired by the enduringly popular BBC1 show, Strictly Come Dancing. Lauren will host her first dance masterclass during half-term week from October 29th – November 2nd and they will be open to all ages, with classes for under-16’s dancers mixed with sessions for more experienced dancers. The four day masterclass sessions will offer a basic introduction to dance, with ability levels taken into consideration and a focus on fun and fitness throughout. Please see links to some of Laurens recent dance videos on Instagram. Lauren began dancing at the age of 15 at a local dance school that purely focused on street dance. She quickly began competing and at the age of 17, won UDO World Street Dance Championships. 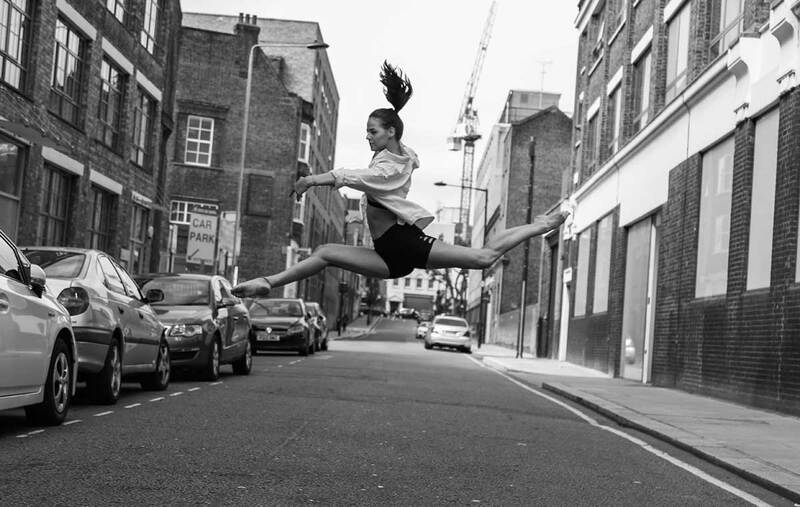 After spending some time studying in Glasgow, Lauren moved to London on acceptance to The Urdang Academy where she trained for 4 years. In her 4th year of training, she was very fortunate to experience the dance industry as well as continue her training. She danced on the opening of Strictly Come Dancing and was cast in the pantomime, Peter Pan as Tiger Lily and a dancer alongside a celebrity line up. Just before graduating in 2016, Lauren secured herself a once in a lifetime contract with Celebrity Cruises and for 9 months, travelled to 25 different countries as a dancer and aerialist. Since returning to London in summer 2017, Lauren has danced for pop artists such as Dua Lipa, Mabel, Not3s, Steps and more. She has appeared on The Brit Awards, a Bollywood movie and worked for companies such as British Airways, Adidas, Apple and Wella. Lauren is still working as a professional dancer, plus she has started her own business, ‘The Wedding Steps Company’, teaching couples their first wedding dance. She is also a recently qualified yoga instructor. A Press Trip to The Campus is scheduled for WC 29/10/18. Please note that numbers are limited. All copyright for images is retained by The Campus. Please Credit: The Campus, Quinta do Lago, Portugal. The Campus is one of Europe’s newest state of the art multi-sports venues, created for elite athletes, teams and for families as well. The Campus is already becoming popular with Premiership football and rugby teams, Olympic and Para-Olympic squads, performance athletes and coaches who are taking advantage of the climate and using The Campus as their winter training base. Guests can stay at The Magnolia Hotel, situated on the doorstep of The Campus and Quinta do Lago resort. It has a range of accommodation including 74 luxury rooms, three suites and seven cottages. The rooms have been recently been fully refurbished and the five-star service will help guests unwind and destress at the end of their day. The Magnolia Hotel offers a beautiful heated outdoor pool and the pool area is at the heart of the hotel. Guests can also visit the spa and holistic rooms and reconnect with mind and body. A team of expert therapists are on-hand to soothe away any tired and achy knots. For guests that are feeling energetic and in need of a good stretch then there is a fully equipped gym with premium quality equipment. The experienced personal trainers are available to help guests work out. There’s a shuttle bus service to The Campus for all guests too. There is also an option for guests to rent villas at Quinta do Lago. This offers guests a chance to enjoy an elite lifestyle while immersing themselves in the very best the Algarve has to offer. The resort’s rental property portfolio comprises of a large selection of luxury properties ranging from large five to six bedroom villas to smaller two to three bedroom townhouses. The on-resort rental team is available throughout each guest’s stay for any questions or requests. Guests will also find an array of ten delicious gastronomic restaurants and dining experiences whilst staying at Quinta do Lago. Emphasis and care is placed on sourcing local ingredients and on serving some of the finest seafood in the region. Fresh fish is brought in daily from the local markets allowing guests to savor the delights of Mediterranean-inspired cooking, whilst taking in some of the breath-taking views over the Ria Formosa National Park. Synonymous with elegance and privacy, Quinta do Lago is an exclusive golf and residential estate of nearly 2,000 acres bordering the Atlantic Ocean and nestled within the privacy and security of the Ria Formosa nature reserve. Quinta do Lago is one of the most desired resorts in Europe and allows you to live an active outdoor lifestyle all year round, offering real estate plots between deserted dunes, sheltered pines, breath-taking beaches surrounded by three award winning golf courses. Since its inception, Quinta do Lago has been at the forefront of European golf with three award-winning championship courses matched by outstanding practice facilities including Europe’s only Paul McGinley Golf Academy and the only Taylor Made Performance Center in Southern Europe. Among its recent accolades, the resort was voted ‘Europe’s Best Golf Venue’ at the 2015 and 2016 World Golf Awards. Quinta do Lago has enjoyed the honour of hosting eight Portuguese Opens as well as numerous other international golf tournaments and its world-class golf facilities are some of the best anywhere in the world. Away from the fairways, Quinta do Lago now adds to its portfolio extensive state-of-the art leisure and racquets facilities guaranteed to keep families occupied with regular tennis and padel tennis events, cycling tours of the West Coast, family bike trips, a wide range of water, beach and lake sports as well as cultural and nature trips. The resort’s stunning location by the beach offers the perfect place to relax and unwind while its wide array of restaurants, both formal and informal, take advantage of the fresh Mediterranean produce that the resort has become famous for. If you need to book a restaurant, a round of golf, a sports class or a specific activity, the Guest Services Team are on hand to book for you. Activities are for all the family and cater for all tastes and include: luxury yachts, boat trips and experiences, big game fishing, dolphins and caves, kayaks and caves, waterparks, theme parks, lake and beach water sports, horse riding, bike tours around the Ria Formosa, quad bikes and buggies, scuba diving, hot air balloons, racing experiences, tennis, bike rentals and tours, traditional Algarve experiences, and vineyard tours. In addition, they can provide babysitting and children’s entertainment, catering services, beauty services so many others available at the Guest Services desk.